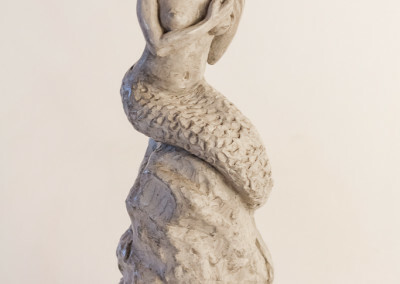 The primary focus and preoccupation of Marieke’s body of work is and has been an exploration of the sculpted human figure. 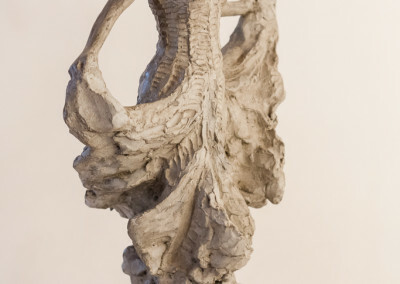 She is intrigued by the way in which sculpture mimics the three dimensionality of a human presence and thus the powerful dialogue it invites – human to human look-alike. Also, the capacity that sculpture has to freeze the transient into sculpted reality keeping it ‘alive’ long after moments and persons have changed. The powerful, instinctive recognition that figurative sculpture elicits from its ‘real’ living viewer has been a preoccupation in ancient to modern art making and has generated a deep reservoir of expressions. This body of secondary interpretation though time and culture has also made a profound impact on Marieke’s work. 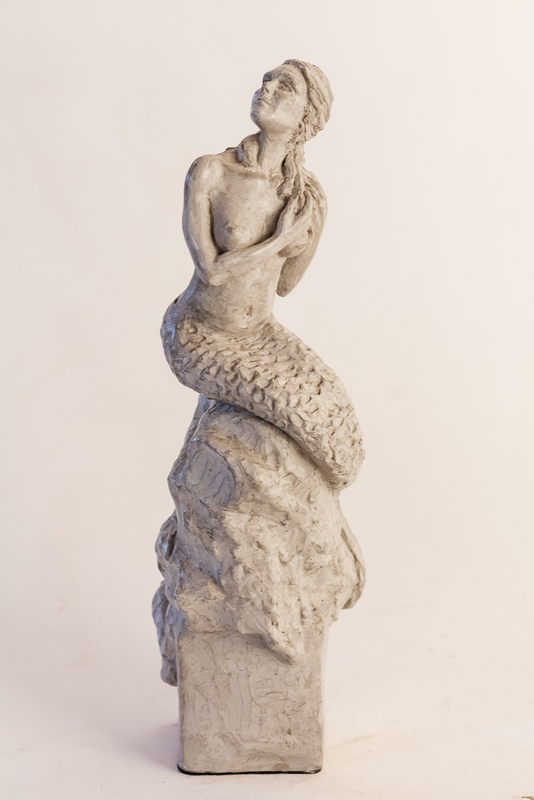 Marieke completed a BA Honours in Fine Art at the university of Pretoria, graduating in 1999. She is currently in the process of completing her Masters in Fine Art at the University of the Witwatersrand. Marieke grew up on a farm near the diamond mining town of Cullinan. It was here that she became interested in art – creating and re-interpreting materials from a rather early age. In the rudimentary phases she remembers sitting on the banks of a small steam that runs through the farm and building imaginary cities and their people from the red mud. Also, she recalls many days being on the floor in her Mother’s ceramic studio and pressing fingerprints into a ball of clay, entranced by the malleability. Growing up on a farm gave her a distinct sense of space, and scale. Childhood games and projects took place on grand scale and with seemingly endless supply of raw materials. That playful working with size has definitely remained a strong impulse in her work. Later on it was the exposure to art – from the privilege of seeing the masters’ work abroad and then the actual time spent studying art, something she found tremendously inspiring. In 1997 Marieke was awarded the Sasol New signatures judges award by William Kentridge. In 1999 she was the winner of the PPC National Young Sculptors Award with her installation ‘Inconcrete in Concrete’. 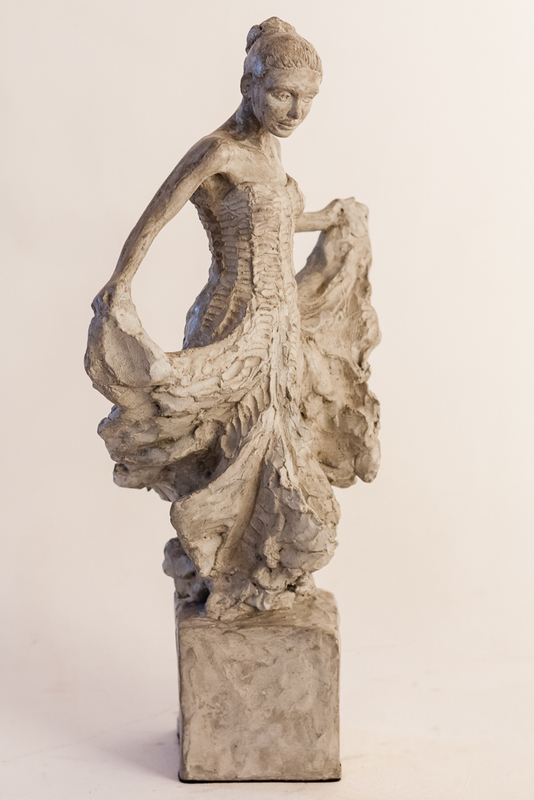 In 1999 she had 10 life size figures acquired by the National Johannesburg Art Museum for their permanent collection. In 2010 to 2012 she presented ‘Walking the Road’ Public Art installation on the Sea Point Promenade in Cape Town. The fable like story was enacted over 2km by the 18 sculptures of a10 year old little Swimmer Girl who yearns to fly like the Dragonfly she meets. In the symbolic oral tradition so intrinsic to African history preservation it sought to represent the young South African Democracy in its quest for liberation – to fly – and the pursuing of equality.On a personal level each viewer could be reminded of the dreams they themselves are pursuing and the hope that empowers. 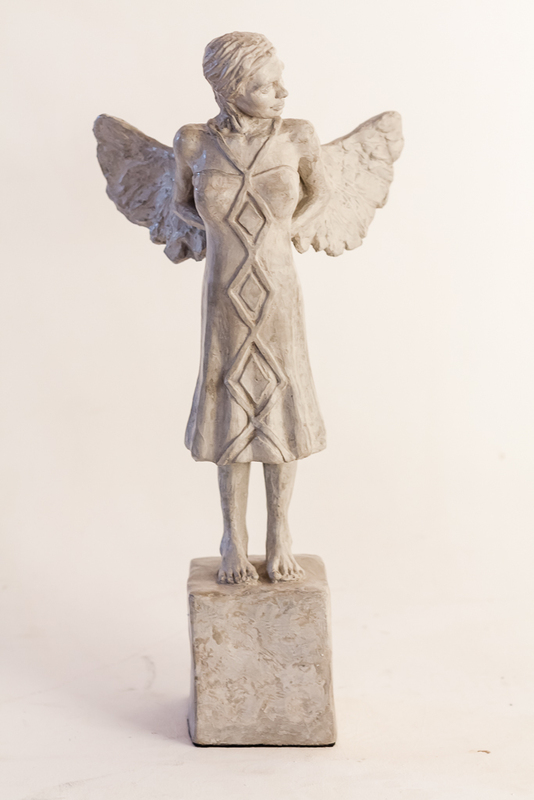 In 2014 she was awarded a national tender to create the first HIV and AIDS Children’s Memorial Sculpture. The monumental work comprised the gestural sculpting of six children who are currently living in with the disease based within her direct community. 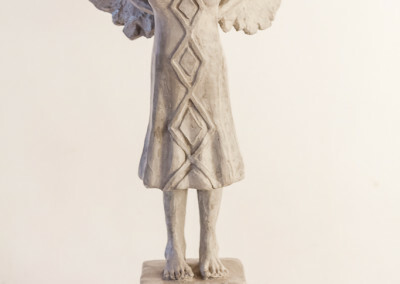 She closely collaborated with them on imaging their struggles and dreams and then transferring these as designs onto 30 sculptured doves which fly between them. The life size sculptures stand on pkinths of varying heights withough which a delicate water system is run… a constant reminder of hope and growth.The monument is on permanent display on the Miriam Makeba Terrace at UNISA in Pretoria. Marieke is currently creating a 6m National Monument for the South African Department of Art, Culture and Heritage of Mr John Beaver Marks (or Uncle JB, as he was affectionaltely kown) The bronze sculpture is to be installed in the North West Province in early 2016.